I have a setup nework diagrams with a pfsense, this pf have is the edge of the network and have 2 Wans doing load balancing correctly, and also have 2 other routers attached to LAN interface (10.0.1.3), with gateways 10.0.1.1 (GWL1) and 10.0.1.2 (GWL2) , those routers have to the internal Network 10.10.10.0/24. When adding static route i have not an option to set the metric, son on the lan Part i cant not failove if one of the routers fails. so how to setup a metric on the second static route so i can do fail over on the trafic back to the internal network? Add a gateway group and add both routers. 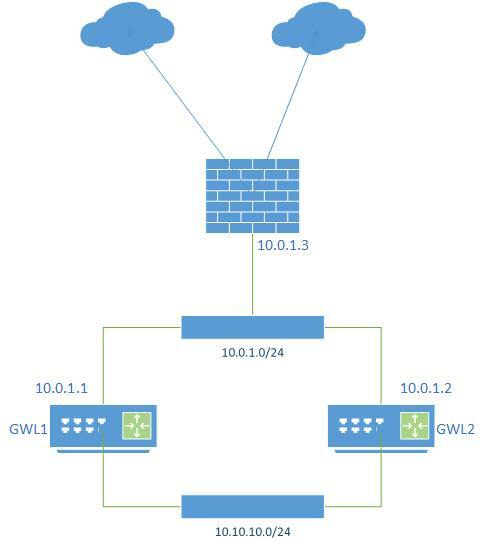 Give GWL1 Tier1 priority and GWL2 Tier2 and set the trigger level for failover. I tried that but when a go to Routing > static routes, and select the gateway options, the gateway group i have created with the two routers does not appear on the list. I have pfsense version 2.4.3.